Dr. Renée-Louise Franche conducts research on work disability prevention and mental health. She is Senior Psychology Advisor at WorkSafe BC, and a consultant in Work Disability Prevention and Organizational Health. She holds an adjunct position at the Institute for Work & Health in Toronto. Dr. Franche has led the first systematic review of workplace-based return-to-work interventions, participated in Cochrane reviews on the same topic, and has led a review on return-to-work/stay-at-work interventions for workers with mental health conditions. She has led a cohort study of injured workers focusing on quality of life, mental health, and work accommodation issues. 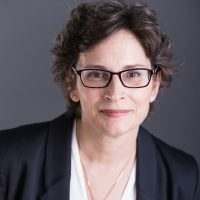 Throughout her career, she has been committed to bridging the gap between research and practice by bringing evidence-based practices to a wide range of audiences, and by including multiple stakeholder perspectives in the process, from the front-line RTW partners, to healthcare providers, top management, and policy-makers.